Here is a very interesting and comprehensive biography on an important but largely unknown figure in early American religious history, Francis Asbury. 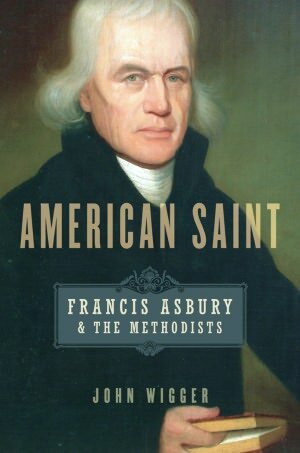 The book is American Saint: Francis Asbury and the Methodists (OUP 2012) by John Wigger (Missouri). The publisher’s description follows. English-born Francis Asbury was one of the most important religious leaders in American history. Asbury single-handedly guided the creation of the American Methodist church, which became the largest Protestant denomination in nineteenth-century America, and laid the foundation of the Holiness and Pentecostal movements that flourish today. In American Saint, John Wigger has written the definitive biography of Asbury and, by extension, a revealing interpretation of the early years of the Methodist movement in America. Asbury emerges here as not merely an influential religious leader, but a fascinating character, who lived an extraordinary life. His cultural sensitivity was matched only by his ability to organize. His life of prayer and voluntary poverty were legendary, as was his generosity to the poor. He had a remarkable ability to connect with ordinary people, and he met with thousands of them as he crisscrossed the nation, riding more than one hundred and thirty thousand miles between his arrival in America in 1771 and his death in 1816. Indeed Wigger notes that Asbury was more recognized face-to-face than any other American of his day, including Thomas Jefferson and George Washington.